- Medium: 8" x 10" with a 4.5" x 6.5" imprint area. - Large: 9" x 12" with a 5" x 8" imprint area. 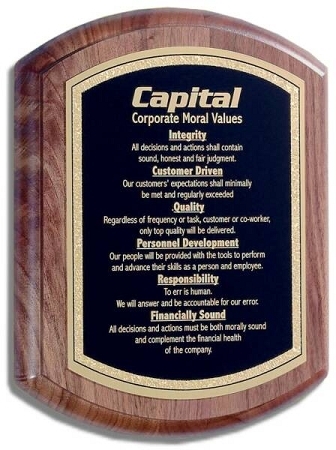 Image and text: Images, text and logos can be laser engraved into the brass. You can specify the design or have our professional artists design the layout for you (no extra charge).